Harold H. “Kiddy” Karr was a pioneering naval aviator (Enlisted Naval Aviation Pilot Certificate #1). He passed away in 1978. 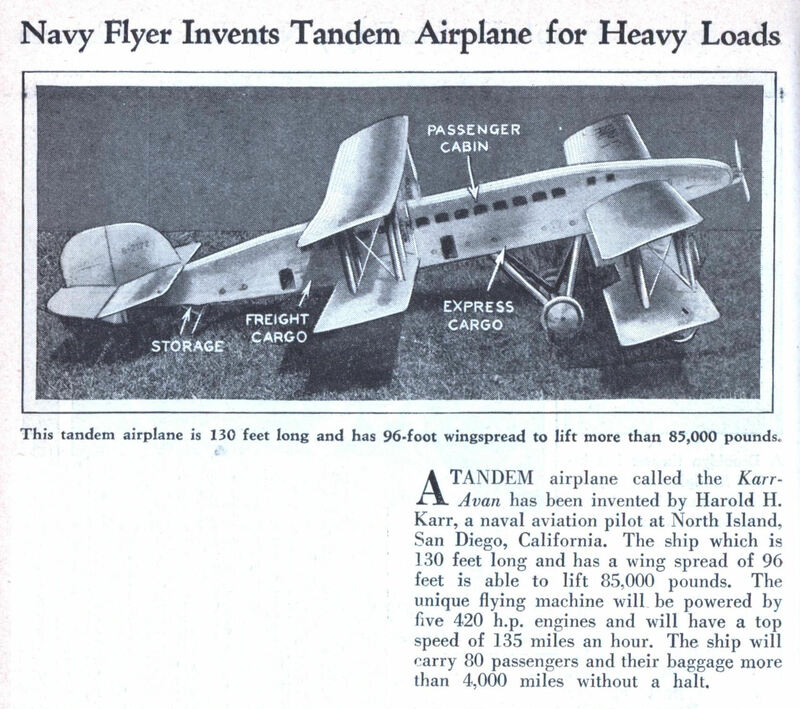 A TANDEM airplane called the KarrAvan has been invented by Harold H. Karr, a naval aviation pilot at North Island, San Diego, California. The ship which is 130 feet long and has a wing spread of 96 feet is able to lift 85,000 pounds. The unique flying machine will be powered by five 420 h.p. engines and will have a top speed of 135 miles an hour. The ship will carry 80 passengers and their baggage more than 4,000 miles without a halt. This kind of design with tandem wings has never been made to work. It might be all right in a dead straight line, but the aircraft is uncontrollable if you try to turn it. 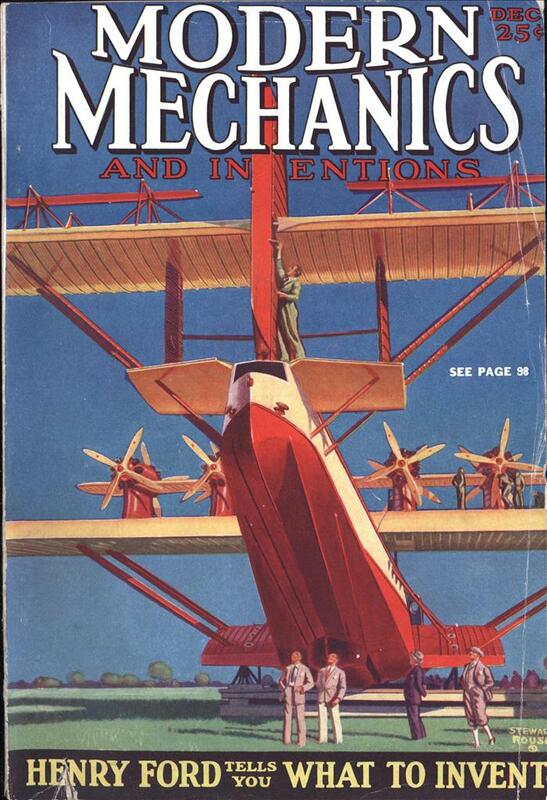 Actually, they have, but not as a biplane as far as I know.